A glittering Christmas tree is a sight we are all more than familiar with, but it’s not one that has graced British homes for that long. Although Prince Albert is most often credited with introducing the Christmas tree to Britain, he in fact simply popularised it. The first decorated Christmas tree to pop up on the British Isles was brought over by another German royal- Queen Charlotte, in the 1790s. Originally, because trees had to be imported from Germany (the Springelbaum being the fir of choice), most households could only afford a small tree which would be displayed in a pot on a table, with presents laid out underneath. It was only in the 1880s (forty years after Albert’s marriage to Victoria) when Norway Spruces began to be grown in Britain, that people could afford the larger trees that we are used to today. Though the Christmas tree may have only become a mainstay of British Christmas tradition in the late 1800s, the practice of bringing a bit of festive foliage into our houses has been around for centuries. As far back as pre-Christian Britain (when it was winter solstice, not Christmas, that was being celebrated) people have been bringing evergreens into their homes during the winter months to symbolise life and fertility even in the depths of winter. Although originally a pagan tradition, early Christians adopted this practice to represent the eternity of Christ. Nowadays, the holly, ivy and other such fancy foliage that adorn our homes at Christmas don’t have so much symbolism bestowed upon them- but they are very pretty and bring lots of festive cheer! During Elizabethan times, the festive fashion was to fill your feast table with sugar, and lots of it! Sugar was the reserve of the wealthy, and the more you had, the more impressive it was. Elizabethan Christmas banquets would have whole courses (called ‘sweetmeats’) dedicated to carefully crafted sugar treats. One thing that hosts delighted in was creating treats that deceived the eye such as ‘collops of bacon’ which were made from a paste of ground almonds and sugar, or walnuts, eggs and other items made from sugar-plate, which was a substance made with egg, sugar and gelatine that could be moulded into any shape the cook could dream up! Although we aren’t quite so obsessed with sugar now, the Elizabethan sweet tooth has made way for some modern festive favourites such as marzipan and mulled wine, and we can’t complain about that! During Puritan reign, Christmas celebrations were somewhat dampened. In 1644, a law was passed that essentially banned Christmas celebrations. Grinch much? Staunch Puritans believed that festive celebrations were excessive and unnecessary to core Christian values- they wouldn’t even allow the attendance of church on Christmas day, so as not to encourage the dangerously excessive behaviours that they feared. Luckily for all you festive revellers, the joyous Christmas celebrations we so love were fast restored with the restoration of the monarchy in 1660. Thank goodness for that! Here at Rushton Hall, we’re over the moon that the Puritans didn’t manage to quash Christmas for too long, because we embrace the festive period in all its glory! Join us for one of our Festive Party Nights (details can be viewed here in our brochure) where you will be able to enjoy Christmas as it has evolved from century to century. With plenty of festive greenery thanks to our ancient ancestors; a beautiful Christmas tree thanks to our German friends; and plenty of decadent food thanks to the Elizabethans- as one of the finest party venues in Northamptonshire, Rushton are sure to throw a Christmas party to remember! 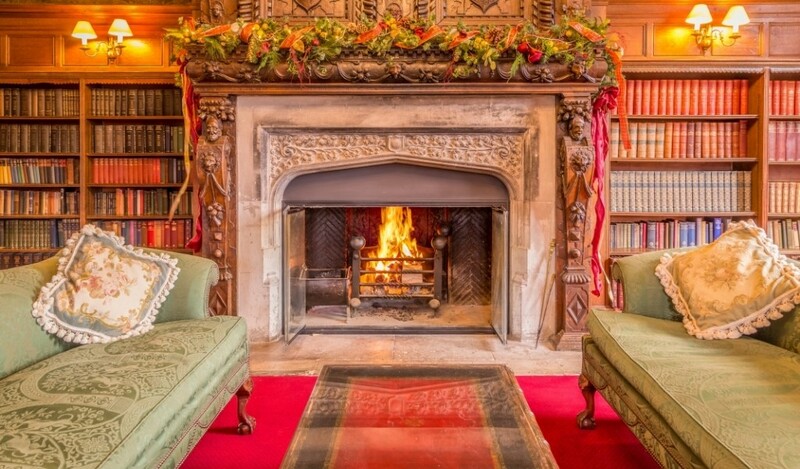 To enquire about your Christmas at Rushton, give us a call on 01536 71300 or send an email to enquiries@rushtonhall.com.